Nice dahlias. For some reason, I've never had a lot of luck with them. Like the color, love the new format. I just got my first macro lens this week for my birthday, so I hope you don't mind me jumping in with some pictures! Gorgeous, but I particularly like the top photo. Have a nice weekend. I've never tried growing dahlias, but they sure are beautiful. Maybe in the spring. 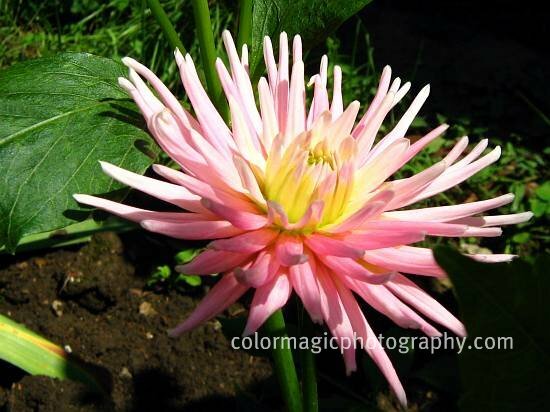 I LOVE Dahlias! There are so many different varieties and colors! Dahlia is just so beautiful! Your photos are fantastic..
Beautiful photos, Maria! Have a great weekend..
Gorgeous! It looks like a lotus flower, the first picture. I like the spears looking effect. Those are beautiful Dahlias! Loved the sweet color. I'm glad to have joined this week. Thanks for hosting MFS. I am having so much fun participating in the challenges and viewing all the wonderful blogs and flowers. There are so many talented photographers out there! I had no connection since yesterday evening but now it's fixed and I'll try to ketch up with you. The color is so pretty, I don't think I've seen a pink dahlias before. I loventhese flowers they get so big and they come in so many colors. ooohhh dahilas are my favorite! gorgeous color, happy saturday! You showed the flower in 3 stages: bud, opening up and in full bloom! And you're right not to exempt anybody who does not link! Now did I link mine right? 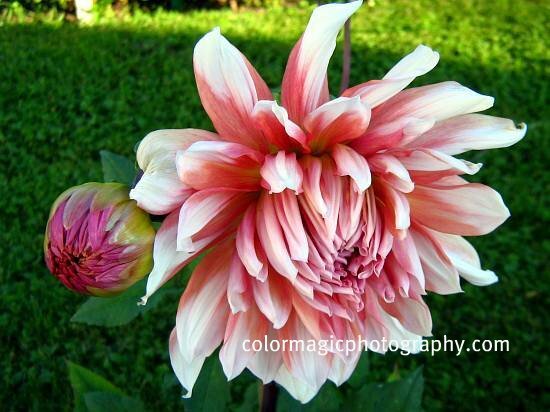 Beautiful dahlias, the color on this one is stunning. I'm running late but I made it! No Lui, you didn't, but at least you tried. Those not linking at all are deleted. we grew them when we were young in Borneo.